The Jasper Chair: a cozy accent to a modern living room. Furnish for company and comfort. 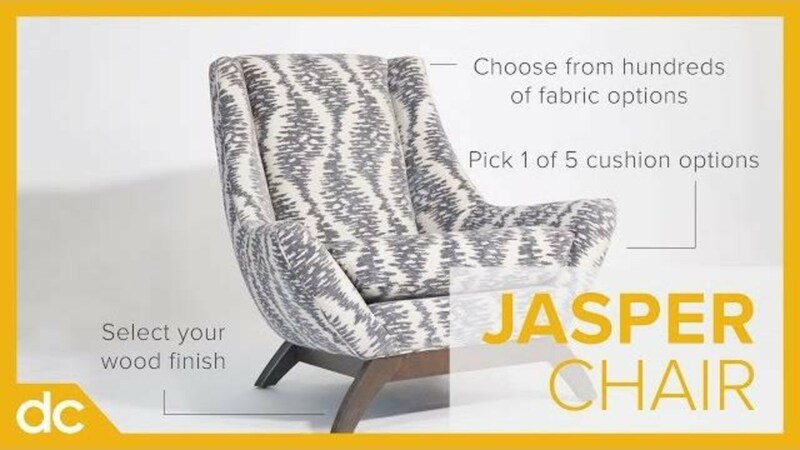 Find the best of both worlds in the Jasper Chair from the Precedent Collection at DutchCrafters. Choose from hundreds of fabric options to lock in your style. Pick from 1 of 5 cushions for ideal comfort. Finally, select your wood finish. And your dream chair is delivered to your door, anywhere in the continental United States. Lounge in the relaxed seat of the Jasper chair, or find and customize the perfect accent chair for your home with DutchCrafters. Easy, convenient modern shopping for contemporary living room furniture styles.